You will enjoy this delightful series by Mr & Mrs Castleberry. These are all books that can be read aloud as a family event and also enjoyed individually by your children. These books are literature that we as parents can trust and our children can truly enjoy! We highly recommend this whole series. Our Price $15.00 each. The Nelson family is busy on the farm, and Jason and Andy are busy solving new mysteries. Who has been trespassing on their land? Will a hidden camera tell them the answer? Mom and Cathy have a mystery of their own to solve, caused by Dad and the boys. And who is that old man at the party, the one who says he is 85, but is really much younger? Trapped will tell you the answers to these questions! There are new mysteries at the Nelson farm, as well as lots of fun. Lights go out and come back on, Mom keeps playing with flashlights and candles, and Cathy does a short disappearing act. Is Andy sleepwalking again? Why is there water on the bedroom floor at midnight? Who’s going to win the contests they’ve come up with? And will Grandad ever find his way out of that maze? To find out the answers, you’ll have to read our latest mystery, Lights Out! Join Jason and Andy as the Nelson family listens to letters from the past. What did Grandfather really see in the war years ago? What does barbed wire have to do with mice? Those mysterious tire tracks near the barn . . . who made them? And how many batches of chicken salad will Mom have to make before they solve the egg mystery? Read The History Mystery to find the answers! Jason and Andy are puzzled again. Does smoke always mean there’s a fire? Will that mysterious key unlock something exciting? What could cause such strange clouds? And how does Cathy come up with such hard clues, anyway? Of course, you’re going to have to read Where There’s Smoke..., the latest in the Farm Mystery Series, to find out. A thousand nails in a barn? Why is there a mess in the kitchen at midnight? Who is Molly Buford, anyway? Will the boys figure out why there are leeches in a firetruck? And does Dad have to give up blueberry cream pie forever? Weighty matters, to be sure, but not too hard for the Great Detective Agency! Join Jason and Andy as they try to solve these and other mysteries in Weighty Matters, the fifth in the Farm Mystery Series. Who (or what) has taken Dad's watch and all the other things missing on the Nelson family farm? Should Dad invest in that fantastic money-making opportunity? And who are those new neighbors through the woods? Are they somehow responsible for the Nelsons' troubles? Join Jason and Andy as they try to solve these and other mysteries in Who, Me? Follow the story of Jeff McLean as he seeks God's direction for his life. This book is written from a young man's perspective. A discussion of godly traits to seek in young men and women is included as part of the story. 1998. Paperback. Who is the man in the green car? What is going on in the hayloft? Is there something wrong with the mailbox? And what's for lunch? The answers to these and many other interesting questions are found in the book Footprints in the Barn. Written by our 23-year-old daughter, Jeannie, Journey of the Heart is the long-awaited story of Janet McLean. Janet, now twenty-two years old, has matured and grown in the Lord. 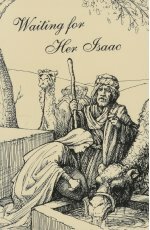 She has many longings, struggles, and questions that she must face with the help of the Lord and her parents. Will anyone ever want to court her? How should she handle her desires for a husband and family of her own? When she finds herself attracted to a young man, what should she do? This is an account of a young woman who is still waiting on the Lord. “One thing I could not get over was how real it was. What a treat to get to read this book, this glimpse into your own heart. Journey of the Heart resonated with honesty. I liked how her parents interacted with her. I thought that was excellent. I appreciated that her struggle is so real - it does not instantly go away when she tells her parents about it, yet that was definitely the right choice. Janet comes full circle and though her struggles aren’t over, she knows Who strengthens her.” Natalie Nyquist, author of Quest for the High Places. What is that sound in the woods? Has someone been stealing Dad's tools? Why is a strange dog barking at midnight? And will the Nelsons be able to adopt Russian children? Midnight Sky provides the answers. The Great Detective Agency is at it once again, solving mysteries on the Nelson farmstead. Why is there a pile of rocks in the woods? Is someone stealing gas from the mill? How could a railroad disappear? And will Jason and Andy have to eat biscuits without honey? You will have to read this second book in the Farm Mystery Series to find out. "This is another wholesome book by Mr. and Mrs. Castleberry . . . 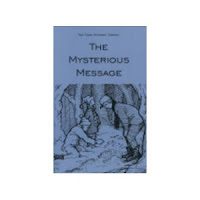 The authors intentionally weave strong Christian family values, as well as teach some deductive reasoning, as the boys solve the mysteries in the book. This book is not just entertainment, but rather your children will learn how to solve problems by thinking and using research materials to come up with solutions." from a review in In Keeping With the Faith, Sept-Oct 1997, p. 20. Nineteen-year-old Bruce Cohlmann has a choice to make. He can continue to fish for salmon in Alaska, following a four - generation tradition that he knows and loves. But God seems to be opening a different door for him, and Bruce has to make a decision. How can he know what the Lord wants him to do with his life? The Choice, written by our oldest son, Stephen Castleberry, Jr., tells the story of the steps Bruce takes as he tries to determine God's will. Sixteen year-old Beth Grant is quite happy with her life and has no desire for any changes. But God has many lessons in store before she is ready for courtship. The story of Beth's spiritual journey toward godly womanhood is told along with the story of her courtship. "A cheerful, lively family. A daughter happy with her life just as it is. A flurry of unforeseen, and -- to 16-year-old Beth Grant -- unwelcome, changes robbing her of the pleasantries she's used to, and slowly shifting her focus to what's truly important . . . Her own imperfection makes the ensuing events, and her struggles and victories throughout, particularly encouraging . . ." From a review in HopeChest Magazine, Aug/Sept 1997, p. 17. 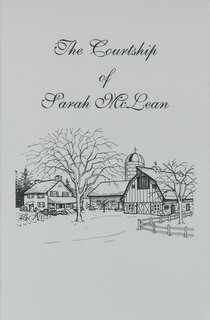 Sarah McLean is a nineteen year-old girl who longs to become a wife and mother. The book chronicles a period of two years, in which she has to learn to trust her parents and God fully in their decisions for her future. "The principles of courtship are well explained in (the book) as a part of the story line...There are no worldly ideas or language in this book. No television, no movies, no disrespect, no feminism, no nothing! " From a review by Cathy White in An Encouraging Word, July 1996. "This book is a refreshing change from contemporary books written for teen girls, and one parents will appreciate too. . . The book features a good discussion on character traits and how these traits affect the marriage relationship. This is a good book for families to read together. It paints an excellent picture of everyday Christian home life.